John A. Martin & Associates, Inc. JAMA Employees Rise to the Challenge for the YMCA - John A. Martin & Associates, Inc. 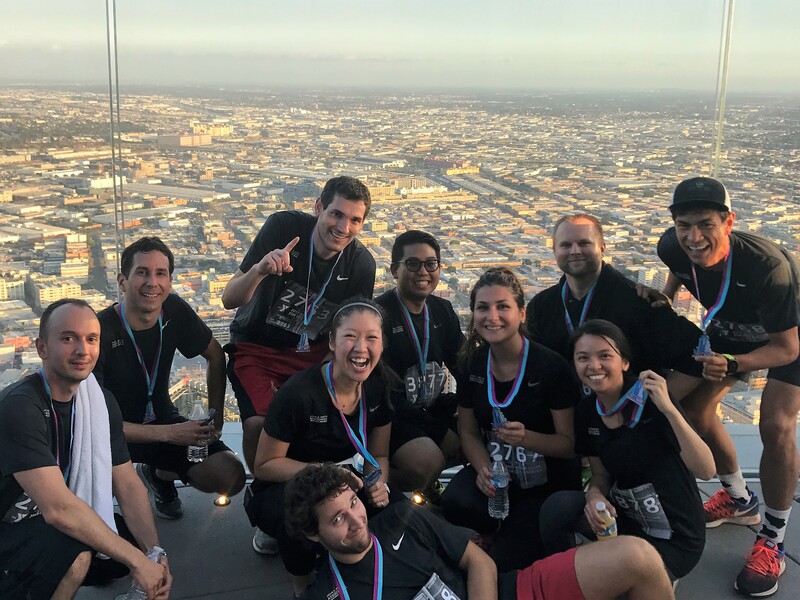 This September a group of JAMA high steppers took on 75 stories of the US Bank Tower in DTLA, which is home to the tallest stairwell west of the Mississippi. The effort was not only good for the group’s lungs but served as an important fundraiser for YMCA. Every dollar raised supported YMCA community programs in and around Downtown Los Angeles, including supporting YMCA program participation for children, teens, families, and seniors in some of the most under-resourced neighborhoods in the city. Go Team!